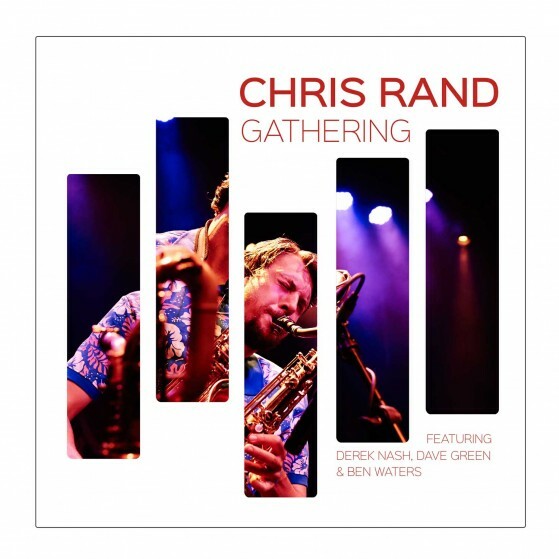 The erudite sax solos of Rand a true musician’s musician, really come into force listening to him play on this cracking debut jazz cd. I suddenly connect with realizing that correct and beautiful form and line are just as important in music as they are in painting or sculpture. 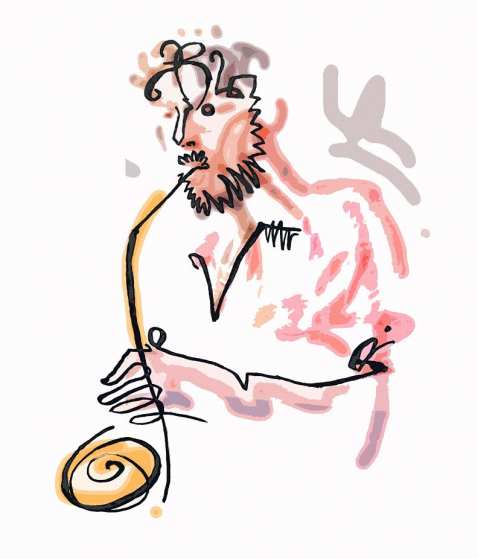 He crafts his sax lines like the curves of a Moore bronze: a real treat to listen to. Kicking off with ‘Gathering’ a skittish, Chicago blues /hard bop number (featuring a sax duel with Derek Nash) that Georgie Fame might definitely have enjoyed, embodies the type of hard-driving accessible jazz that inspired this debut project. Dipping into deep modal waters sees the highly evocatively sounding ‘By The Leigh’ change the mood with some mellifluous sounding trumpet (surely channeling Miles?) courtesy of Ed Benstead, a player of considerable control, before Rand launches into his well-executed solo, sounding like a young yet fervent Alan Skidmore. This track lets all the main players solo – Sam Leak’s choice, lyrical piano gives way to a stinging bowed double bass slice of blessedness then a firey trade off at the end. They are all a perfectly matched foil for each other as they are such powerful practitioners on their instruments as proven by the next cut the absolutely swinging ‘Sidewalk’. A classic sounding homage to Blue Note pouring out a torrent of perfectly executed ideas over a rock-solid but free swing of drummer Jason Reeve. This is an incendiary mix of discipline and spontaneous improv that surely defines the essence of this fine genre. Chris’s unswerving dedication and the energy and commitment of his playing is gaining huge ground he’s a wanted man! (Nine Below Zero, Crowd Company and a Jack Bruce tribute under his belt) proves the guy has heavyweight credentials and the cd is chockablock with goodies, swinging Hammond, passionate hard bop, boogaloo and even a barrelhouse foot stomping old belter (Kansas Smitty style) What’s not to like? A tour de force this man’s definitely on-course!